Before the advent of dual pane windows, single pane windows were standard in Phoenix area homes. Many older homes in the Valley of the Sun still contain single pane windows in various shapes, sizes and frame types. Single pane windows are typically made out of annealed glass, however, tempered glass is used for exterior glass doors, sliding glass doors and windows near a walkway or doorway. Unlike a car windshield, chipped, cracked or broken single pane glass cannot be filled to restore the glass. In almost all cases, the glass pane must be replaced to restore the window to its original condition. The process for replacing single pane window glass should be performed by a professional glazier and company like Superior Replacement Windows. The process for removing and installing a new pane of glass is mainly determined by the type of frame used to secure the glass. If putty is used to seal the edges of the glass, the job can prove to be more tedious and more expensive. The first step is to secure the surface of the broken glass with tape so glass shards don’t fall onto your body while removing the glass from the frame. Once secured, the existing seal around the edges of the glass must be cut and the glass delaminated from the window frame. When the glass is loosened, it can be pulled from the frame. Next, the window frame opening should be cleaned of any remaining sealant so the surface of the frame is clean and ready to accept the new single pane of glass. Careful measurements of the frame opening are taken by the glazier during the quoting process to determine the precise size of glass to cut and install. Our glaziers carry single strength and double strength annealed glass and clear and bronze laminated glass on their trucks for cutting and installing onsite within the same day. Laminated glass is a type of safety glass that can be used to replace tempered glass. The advantage of laminated glass is that it can be cut onsite versus tempered glass which must be cut to size in a fabricating facility using water jet laser cutting machines. Most residential single pane windows use annealed glass whereas commercial windows (storefronts) use tempered or laminated glass. Sliding glass doors and entry doors must be replaced with tempered glass to meet building code requirements. Once the glass has been measured and cut to size, the glazier will then prepare the frame opening with a continuous bead of silicon sealant. Silicone creates the primary seal between the glass and frame and creates a barrier to moisture, dirt and air from entering the home or office building. The single pane glass is then set into the frame with pressure to wet the silicone sealant to the glass and frame. Once the glass is set, the window stop or putty is used to secure the exterior of glass pane and prevent the glass from falling out of the frame. Sliding door glass is installed in a similar fashion to a traditional window, however, the glass may be captured using frame elements that are screwed into the main sections of the frame. The main difference between single pane and dual pane glass windows is that single pane are non-insulated. Single pane glass is less expensive to replace but can cost the homeowner more in energy used for air conditioning. In Phoenix where temperatures in the summer and winter can be extreme, dual pane windows are an energy saving advantage. Many homeowners and commercial building owners choose to replace their single pane windows with dual pane windows to take advantage of the energy savings and lower utility costs. 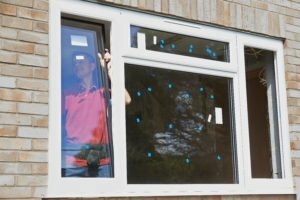 How Much Does Single Pane Window Repair Cost? 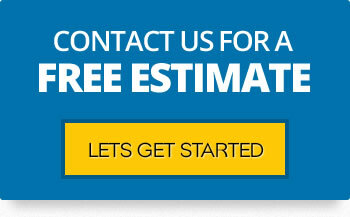 Call Superior Replacement Windows for a free no obligation price quote over the phone. If one of our glaziers is available, we can schedule an onsite measurement and single pane glass installation within the same day for Phoenix area homes and commercial properties. You can also complete an online quote form by clicking here.